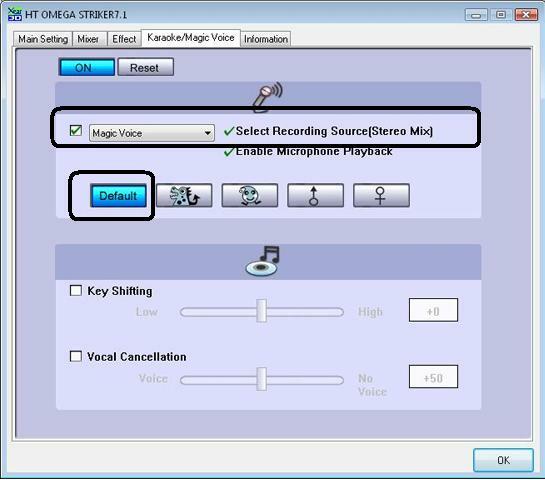 Turn on "Magic Voice" and select "Stereo Mix" as the recording source. Select "Default" on the Karaoke/Magic Voice tab. You can now monitor the Line In signal on your external digital receiver or digital speaker system. Note: Claro Series sound cards provide Line Input monitoring digital output without these software settings. HT Omega© COPYRIGHT 2016. ALL RIGHTS RESERVED.